Marc Silver Ballpoint Pen comes styled with a distinctive oval barrel and angled features to produce an elegant alternative. 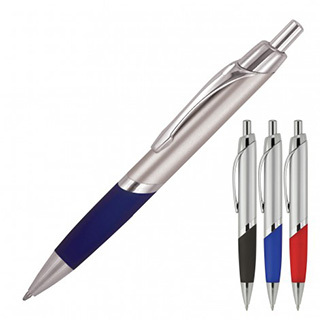 Printed with a logo for your promotion, which can be done via pad print to the barrel, this pen will be sure to create a good impression. The smooth black ink is from a Parker type refill with a 1.0mm nib and push button, retractable ballpoint.